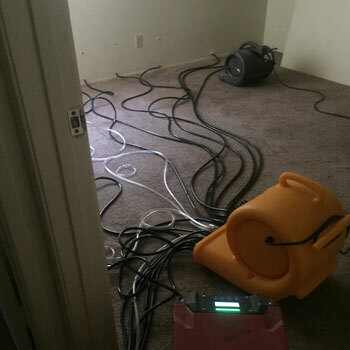 The first step is to determine what category the water damage falls under. 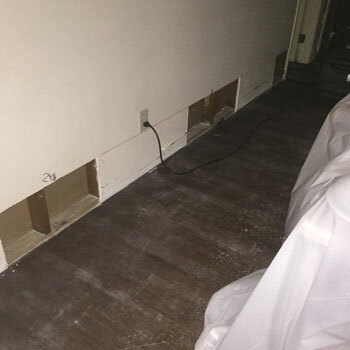 The following are the three types of water damage and its category. Category 1: Clean Water – Uncontaminated water, such as overflowing sink or tub, broken toilet tanks. If exposed, poses no health threats to humans or animals. If left untreated, it can turn into Category 2. Category 2: Gray Water – Neglected Water. Slightly contaminated by washing machine or dishwasher discharge. Toilet flow overflow with urine but no feces. Can cause discomfort or sickness when exposed. Category 3: Black Water – Grossly contaminated by natural disasters or sewage damage. In extreme conditions, it can cause serious illness and/or even death if exposed to or consumed by humans. 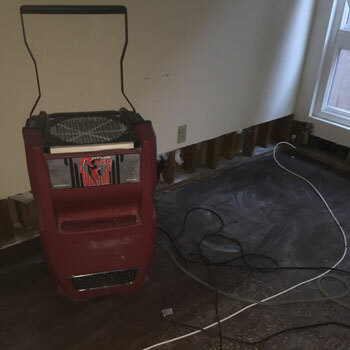 Using an Injecta-Dry system with a dehumidifier to dry up walls that are completely soaked in three days = 100% dryness. Once we determine what type of flood it is, then we begin the restoration process to its former state. We immediately respond to a flood, which reduces water migration, and reduces secondary damage. We begin the restorative drying process, which is: extraction, evaporation, dehumidification, and temperature control. We use a thermal imaging camera, and a hygrometer to take daily readings and to determine if equipment has to be placed and moved elsewhere. 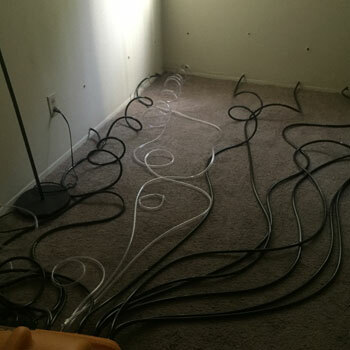 Our goal is to leave the carpet and/or structure at a pre-damage state, and leave the customer completely happy. As noted, if left any damage is untreated long enough, the premises can become uninhabitable within time. Clean Water can lead to Grey Water. Grey Water can become Black Water.